When it comes to running a successful business, there’s so much to consider. You have to think about managing cash flow, and getting funding from different sources such as banks and VCs, and getting customers interested in your brand. Big data plays a vital role in all of these aspects. This last element of running a business is vital, because without a great outreach strategy, you aren’t going to generate any revenue! In today’s modern world, one of the best ways of doing this is by interacting as much as you can on social media. There are plenty of ways to do this. One of the best is by connecting with your customers on Instagram. But Instagram has changed significantly in the past few years. 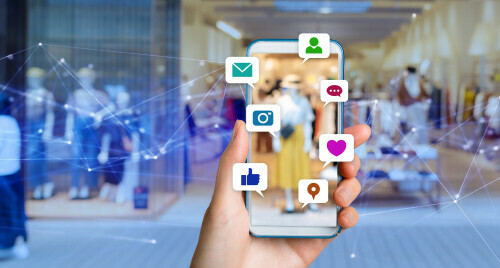 Businesses are using the app more than ever, coming up with clever hashtags and using the new Instagram Stories feature. There is no excuse not to use big data for your Instagram strategy, because it is so closely intertwined with it. So, if you want to manage your business’s Instagram as successfully as possible, here’s how. Before you even post your first picture or learn about what kind of content your audience most enjoys, you need to make your Instagram account officially for business by making it into an Instagram for Business account. Once you have a Facebook profile, you can connect it to Instagram, and choose what industry you’re in. Additionally, you can include your website, a bio, a link to your Facebook page, and contact information. This is the very start of building an Instagram brand persona, so think hard about what you want to include. Additionally, having an Instagram for Business account will get you information about your most successful posts, as well as the age and location of your followers. That way, you can improve your posts over time. Considering that Instagram expects to accrue $4 billion in mobile ad revenue in 2018, you can see just what a difference managing your account correctly can make. The trick is to understand how to create your profile carefully. You should use big data to optimize the platform to get the most traction. Sprout Social talks about a number of great Instagram analytics tools to look at. Once you’ve made your Instagram the right kind of account, you need to research your customers. That way, you’ll use the right color schemes, fonts, and images that they want to see. Additionally, you’ll be able to find out where they spend most of their time, which will help you figure out where to place your Instagram ads. Once you’ve completed your research, you can create buyer personas for your different kinds of customers. For example, you might have a buyer persona for your Gen Z audience, and another for baby boomers. Speaking of Instagram Stories–you need to master these if you want your brand to be taken seriously by customers. Especially if you’ve got a lot of younger followers like Gen Zers and millennials, they’re going to expect you to keep them aware of your business’s processes and fun deals via this medium. Considering that Instagram Stories are twice as popular as Snapchat, chances are it will soon become popular even with older audiences. Once you’ve perfected the images, created an aesthetic and started posting images and Instagram Stories regularly, you need to think about the text that’s going to accompany them. It needs to match the vibe of your brand, so have your tone of voice be funny or serious, depending on what you’re selling. Hashtags should match your tone, too, but you should also be strategic with them. You can use up to 30 hashtags in any post, so get creative. Use ones related to your brand, as well as trending hashtags (e.g., #fallfashion), and ones that are popular in your industry. Don’t forget to copy/paste the ones you use most into notes on your phone, so that you can pull them up at any moment. If you aren’t sure where you start, take a look at what your competitors are doing, as well as influencers in your industry. These are some of the best ways to use Instagram so that your business will be as successful as possible on the platform. What other strategies do you use to improve your business’s social media presence? Instagram is playing a huge role in most marketing strategies. The good news is that big data can help you get the most traction from it. Use it to the best of your ability.